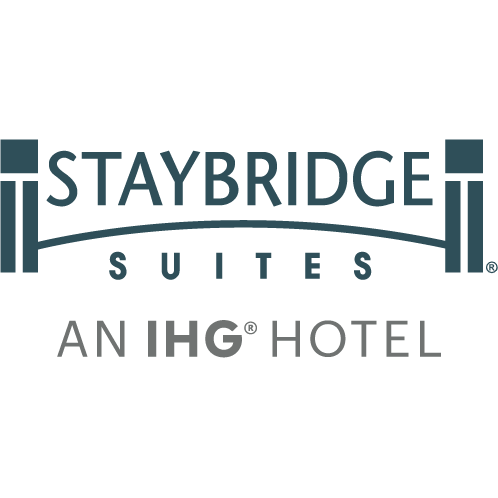 Located off the Queen Elizabeth Way highway, at the gateway to Niagara on the Lake, Staybridge Suites is the only true all suite extended stay property in the area, offering a selection of studio and one bedroom suites, all equipped with full kitchens. Get your day started right with a hearty breakfast offering that has an abundant variety of choice to satisfy those early morning cravings. Guests are welcome to join us on Monday to Wednesday evenings to enjoy our Evening "Social" complete with small plate offerings and beverages. Take a dip in our indoor pool or stay on track with your workout routine in our fully equipped fitness centre. Stay connected with friends, family and the office with complimentary WiFi throughout the hotel. Need to get your clothes freshened up? Look no further than our on site guest laundry facility. Enjoy outdoor areas that include BBQs, patio, fire pit and putting green. Savvy shoppers love our proximity, within walking distance, to the Outlets Collection of Niagara shopping experience, while those who have seen the reviews know that a stage production at Shaw Theatre is something not to be missed. Looking for the best wines that Ontario has to offer? Over 20 of the most distinct wineries are situated in the immediate Niagara on the Lake area, while many others are only a short drive away along the Niagara greenbelt.